It’s Always Been a Matter of Trust - Kennedy Law, P.C. My father had an 8th grade education. He had to quit school when his dad, my grandfather, went to fight in WW II. 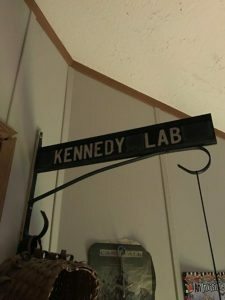 Nevertheless, the man who I grew up with was an avid reader who owned his own small business called “Kennedy Lab.” He read the Wall Street Journal, the New York Times and the local hometown newspaper every day before leaving for work. He owned a dental laboratory that made bridges and crowns for dentists. My father said he never lost a dentist client because “it’s all about trust.” If the dentist needed the bridge or crown completed by a specific day, my dad made sure it was timely delivered, that it was created correctly, and that the invoice for his work was accurate. Because he was reliable, dentists trusted him. And because the dentists were reliable, the dentists earned trust from their patients. If that trust were ever breached, it would be felt all the way down the line, from the patient to the dentist to my father and my father’s employees. And once trust is breached, it is very hard to earn it back. You have all heard a similar story: a man starts a business, hires people when it starts to grow, teaches them the trade, trusts in them to do good work, and then somewhere down the line the employee betrays the employer by starting up a business to compete right under the employer’s nose. Then the employee waits until an opportune moment. Maybe the boss goes on vacation or has to have surgery. That’s when they strike, with their objective to steal the clients. Luckily, that never happened to my father. The trust between him and his employees was never broken. Today, this happens all the time. It happens at law firms and it will and does happen to many other small business owners. That is why employers need a good employment agreement with a covenant not to compete and a confidentiality clause. Yes, my father (and Billy Joel) were right: It’s always been a matter of trust. But in today’s environment, you can protect yourself more fully with a covenant not to compete. Why do you need this? Because there are a lot of untrustworthy people in the world.